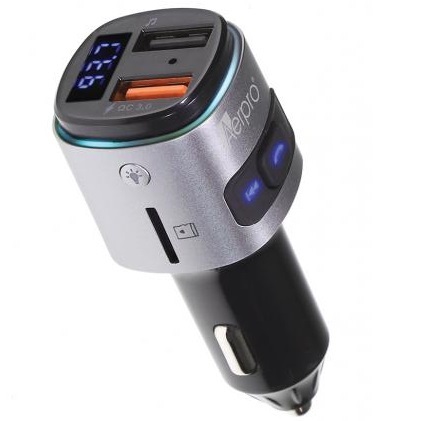 Plugs into your car's 12V or 24V socket, FMT255 allows you to play music from smartphone, flash drive or Micro SD card through your car stereo's FM transmission. On top of it, it also lets you make or take answer calls hands-free for safety. Not only does it enable music playback, but it also functions as a reliable device charger with QC3.0 Fast Charge capability. FMT255 supports up to 32GB Class 10 Micro SD cards, too.